I received product compliments of Lorena Canals. All opinions and statements are solely my own. When it comes to home decor and decorating the space in my home, I get both excited and overwhelmed. What would look best or even work with the space available are the main questions I ask myself before beginning any new decorating project. 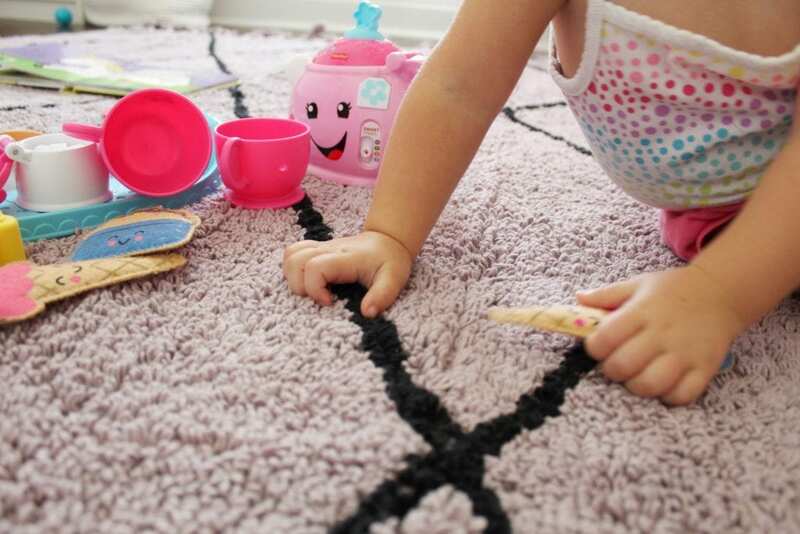 One thing that was super easy when trying to figure out what to do about a rug in my youngest’s room, Lorena Canals. See why Lorena Canals is perfect for any one wanting to add a rug to their living spaces! This obviously had to be my number 1 reason why Lorena Canals rugs are perfect for anyone looking for a rug. These rugs are 100% cotton. 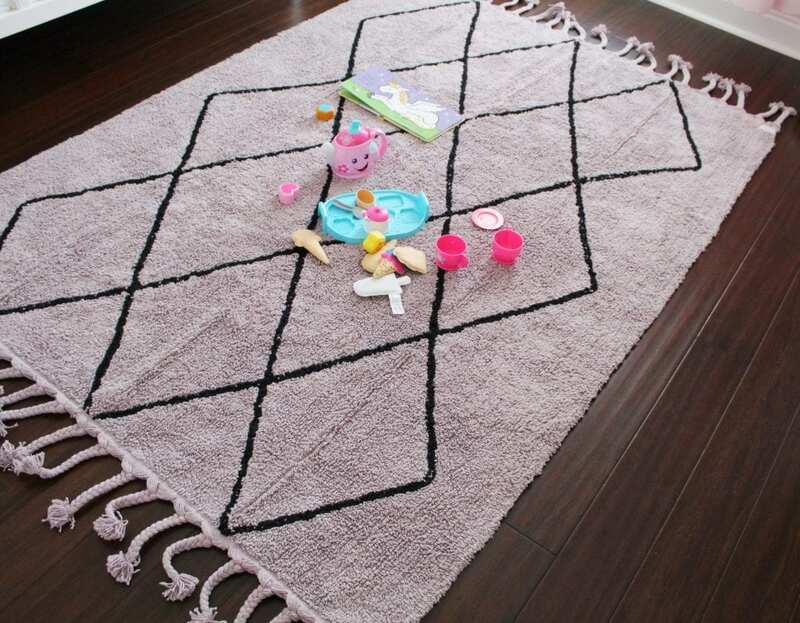 If you have little ones like me or even pets, this rug is even more of a winner. Majority of the rugs, well ‘nice rugs’, out on the market are not machine washable. You have to do the best you can with spot treating or even fork over the big bucks to have it professionally cleaned. As a mother of 3, I have no time for that nor do I want to spend the money to have any of my rugs professionally cleaned. We all know too well how uncomfortable or stiff-feeling some rugs can be. These are the ones that you don’t even want to sit on and play games. Not LC rugs. They are so comfortable! 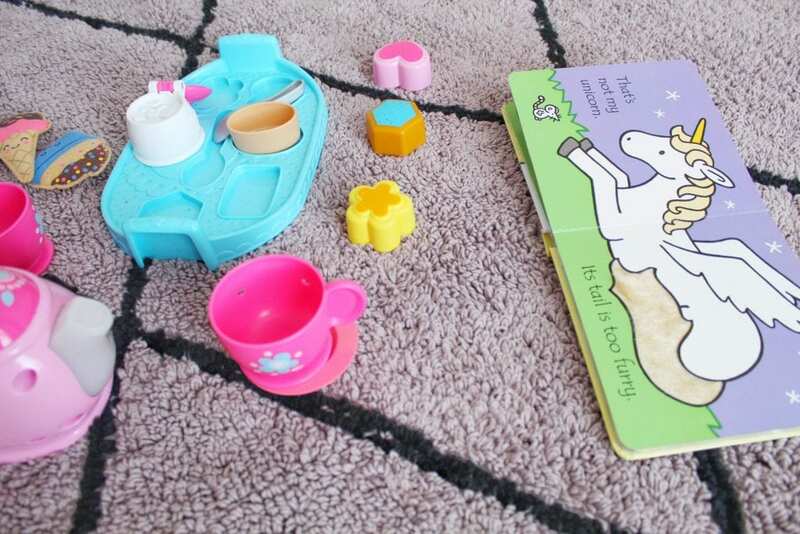 We were able to have a tea party on my daughter’s rug without having to shift around or get up after sitting too long. The texture and thickness of this rug is perfect as well! If you are looking for a rug that serves more than an aesthetic one, LC has you covered! I am not a huge trend follower, but I am when it come to my home decor. I had the toughest time finding a rug for my daughter’s room. They were either too plain or were to ‘character’-related. You know what I mean, ones with all the animals or the Disney characters on it. Nothing wrong with these rugs, just not what I wanted for her room. Then enters Lorena Canals. These rugs are not only pretty, but modern trendy! 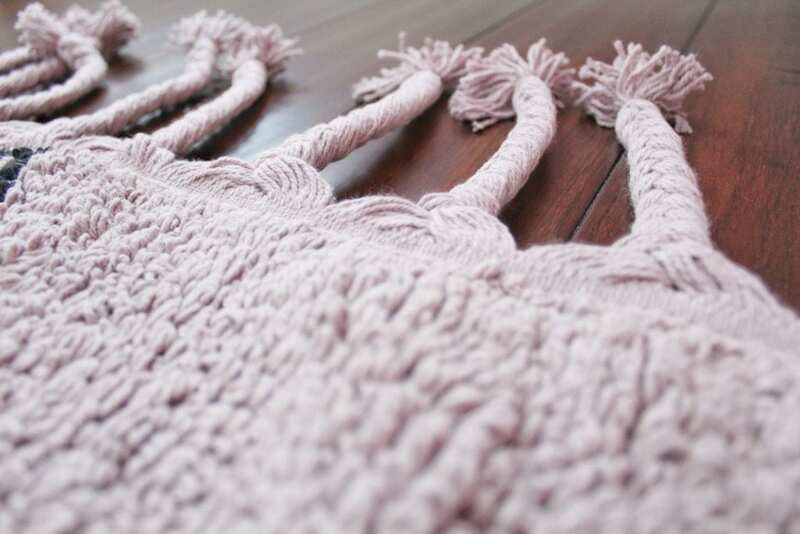 I absolutely love the tassels on the end of this rug. 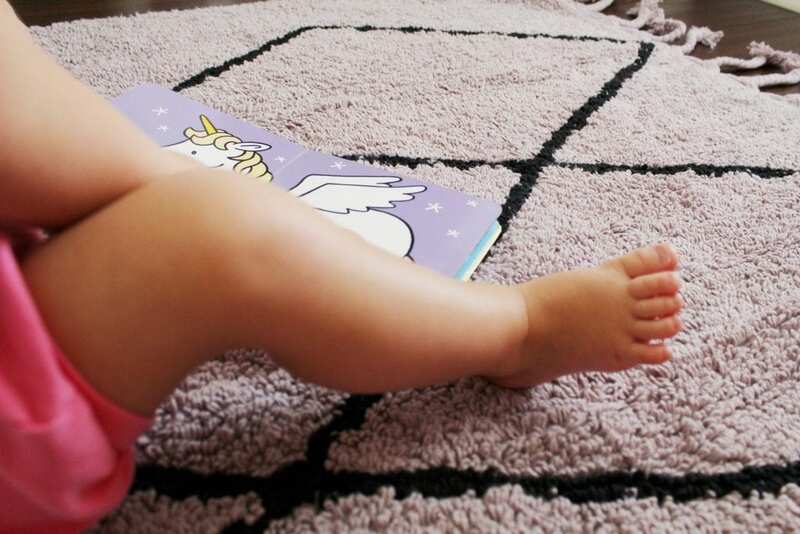 The simple but chic design of this rug was just what I was looking for and the perfect fit for her room. Ok, this kind of goes a long with the comfy and machine-washable aspect. This rug is light-weight. I can easily roll it up and move it to another room or bring it to the laundry room with no problem! It is also comfortable in that it is not bulky with hard, dense material, making it the perfect match for anyone who loves to lay around reading books, movie watching, or even playing games. With all the chemicals, etc. out there, it can be difficult to guarantee that every single purchase is safe for you and your family. LC is one that is well-known to stand by their standards. Their rugs are handmade with natural dyes, eco and contain no VOCs like most carpeting and rugs. It is no wonder why Lorena Canals rugs are loved by top celebs as well as being picked by Vogue as top baby product for celebrity nurseries. I am all about supporting local businesses as well as companies that are here to serve others. Lorena Canals is one of those companies. Their social mission is to support the Sakula Project as well as provide schooling for children in India. For every LC rug purchased, a customer helps a child attend school. In 2008, the Sakula Project built a nursery in Haryana, India to give children who are on the streets one meal a day and the education they need. As a mother of 3, this social mission had my heart! Lorena Canals is just that, a great rug that will add character to any space along with the comfort. If you are looking for a rug that you can easily wash at home and is safe for all those in your home, Lorena Canals is for you! You will not be disappointed!